I wish someone told me to come back, to comeback to the golden era. And I and my spouse really wanted to go back. We were enjoying it every bit, minute by minute, second by second. It was as beautiful as The Taj Mahal, as calm and serene as the shore of a river bank and as green and lively as a hill station. That day was very special. We were celebrating our 2nd anniversary, were walking on the street like love birds, not caring of the surrounding world, just engrossed within ourselves. We looked into eachother’s eyes, gazed at the stars, also kissed eachother on the lips and shared some memorable time. 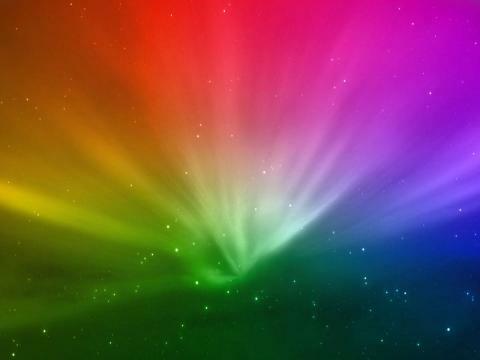 We were completely engrossed in ourselves when a bright rainbow colored light emerged out of nowhere and sucked us into it and before our eyes opened we were lying down on earth unconscious. The land on which we were lying was surrounded with the chirping of birds, humming of bees, roaring of elephants and moo moo of cows. Some bleak sound of flowing water and few people chatting and laughing loudly could also be heard. The sun was playing hide and seek with the clouds and the reflection of this innocent play can be felt by our eyes. All these made us to slowly wake up and ask for a cup of coffee. “Ramu, please bring us a cup of coffee”, I said. There was no answer. I shouted for the coffee again but still there was no answer, thus furiously I opened my eyes. The opening of my eyes left me dumb struck. I and my spouse were lying on an open terrain with various kinds of sounds coming from all directions and ray of sunlight directly falling on us. With shock in my eyes I tried waking up her asking strongly “Where are we”? She woke up with even more shock and surprise then me. With this state of our mind we tried to figure out where were we. So we started walking in search of few people to whom we can ask them about this place. While walking we heard a soft sound like cham cham coming from our body. We looked at eachother and were left puzzled and bamboozled at the change of our clothes. From western clothing we were into traditional attire which was similar to the ones people wore many centuries ago. In deep shock we again tried to find out the place and people there. As we were walking, looking at the surrounding, trying to figure out the place we were in, we saw herd of cows wandering there. We went further ahead to see what was exactly around the mountain. And this led us to another shock and surprise which left our eyes and mouth wide open. What we saw was nothing less than a miracle of modern times. 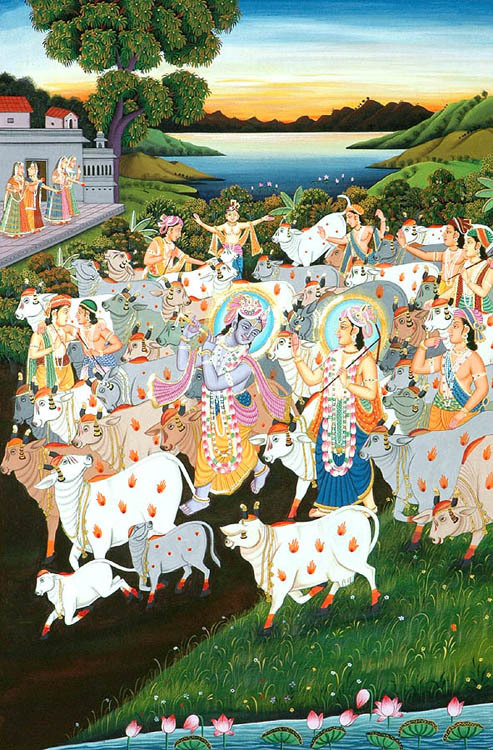 We saw The Maakhan Chor playing flute whilist surrounded by herd of cows. We immediately felt on our knees, offered our prayers and still could’nt believe our eyes. We soon realised that we were in the land of Lord Krishna, Vrindavan. Soon we were in the company of natkhat Kanha, the people around there, their food and way of life. This led me thinking about the quality of life these people live and the quality of life the people live now. There is peace in the life of people which is probably lost in the 21st century. Adjectives and phrases like Happiness, Kindness, Selflessness, Simplicity, Joys rather small joys, The joy of giving and sharing, The Way of Celebrating various occasions, festivals; The way of enjoying the life with just basic necessities are losing importance in the world of smartphones. People have become thirsty of eachother’s blood, crimes have increased by leaps and bounds with children learning to play with guns rather than toys. It has increasingly becoming dangerous to live in the 21st century world. I felt a tight pinch on my belly fat and this made me to come out from my thoughts. Ouch! It hurts, I said to her. She didn’t react to me but exclaimed Rohan, we settle here for the rest of our lives! I nooded my head in agreement to her. And as I did, a bright rainbow colour flash of light came from nowhere and we were back on the street, with western clothes, hands held tightly and ignoring others on the street being involved in only us.